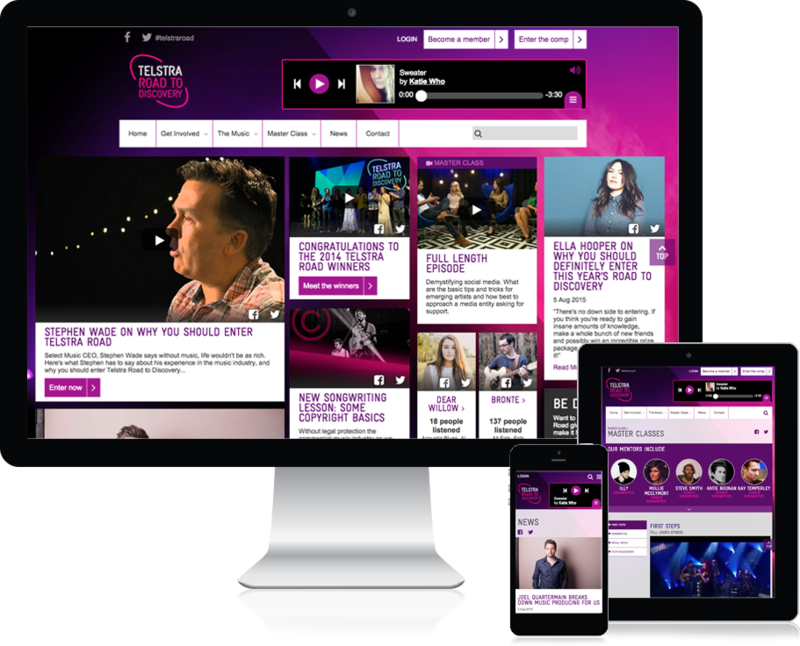 We worked closely with Telstra during their Telstra Road to Discovery program to build a custom online platform for emerging artists. The site created a space for musicians to share and promote their music, learn from industry veterans and enter the annual music competition via a secure entry and judging platform. Visitors could discover and stream new or trending tracks instantly while navigating around the site or save a playlist which they could then listen to on the go. Year on year we added functionality and analytical tools to allow Telstra to provide more to the community and gain insights into users’ behaviour while enabling future planning. Need a custom online platform?